For April 2019 there are no townhomes available for sale in the Sawgrass Villas community of Palm City Florida. There is 1 townhome that is under contract at this time. 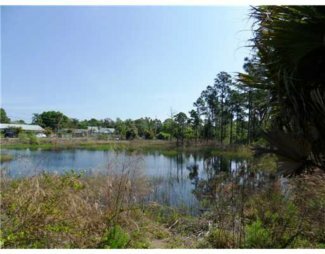 This property was listed for sale at a price of $248,000 which equals $153.09 per sq. ft. of living area. It was on the market for 23 days before going under contract. 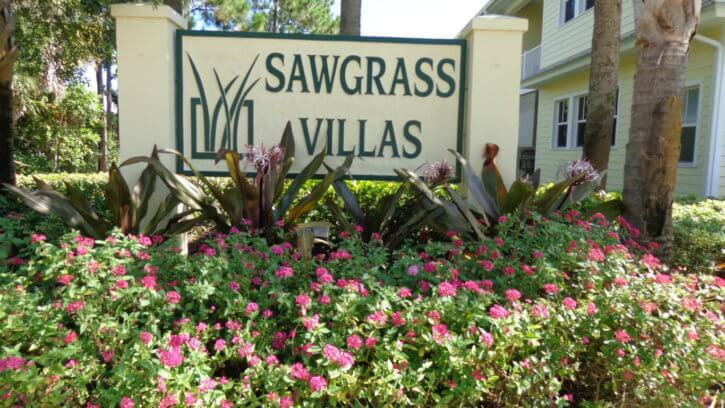 In the past 12 months, 4 homes have sold in Sawgrass Villas. Sales prices ranged from $218,000 up to $235,000. This equals an average sales price of $227,675 which works out to $132.49 per sq. ft. of living area. These homes sold for 98% of list price and also averaged 65 days on market before going under contract. 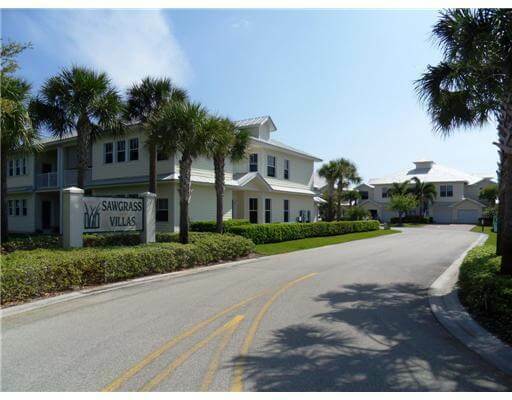 Built in 2005, the Sawgrass Villas of Palm City are one of the few newer affordable townhome style condos in the area. There are 52 units with two different floor plans. All are 3 bedroom, 2 bathroom with either 2.079 sq. ft. of living area for the larger floor plan or 1,621 sq. ft. for the smaller ones. With a rare exception, all of these townhouses have a 1 car garage. The HOA fees (March 2019) are a very reasonable $365 per month as this includes building maintenance and insurance, landscaping, trash pickup, Cable TV, and exterior pest control. Live the easy maintenance and worry-free life in these solid concrete townhomes featuring Hardi-plank siding and metal roofs.